The above photo was taken on Oct 1, 2010 during SPIRT of PA’s overnight investigation of Fort Mifflin by Investigator Scott Anderson. Other investigators were in the casemate with Scott but no one was in the hallway (scene of the photo) during this time. Investigators had been hearing footsteps and shuffling noises through out the night in that hallway, but they never seemed to venture into the casemate. Scott was taking 30 second exposures with IR light only (which is why the picture has a purplish tint). No flash, on IR light on camera and red flash behind photographer. 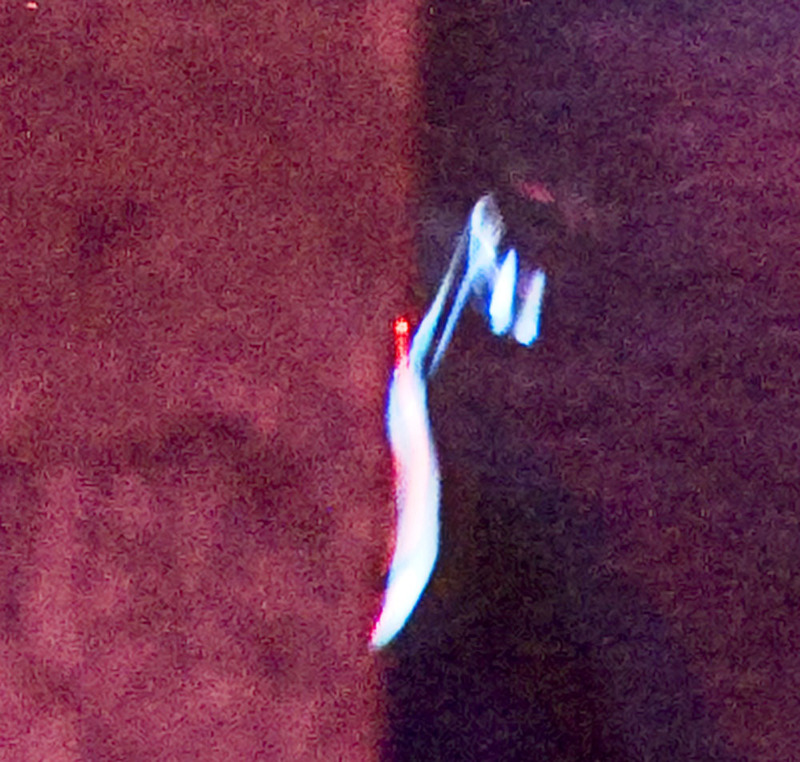 We also zoomed in on the image during analysis to see if we could get a better view of what we’d captured. In the first photo you can plainly see a male arm/shoulder and possibly part of a head/face which is peering in the casemate from the hallway. He appears to be wearing a dark colored jacket which ends right before a dark colored sleeve (from another shirt?) and a flesh colored hand. You can also faintly make out dark (possibly blue) pants. No investigators on site were wearing jackets as it was October and still warmer at night. We are unsure at this time why the image appears to have white streaks over the face area. 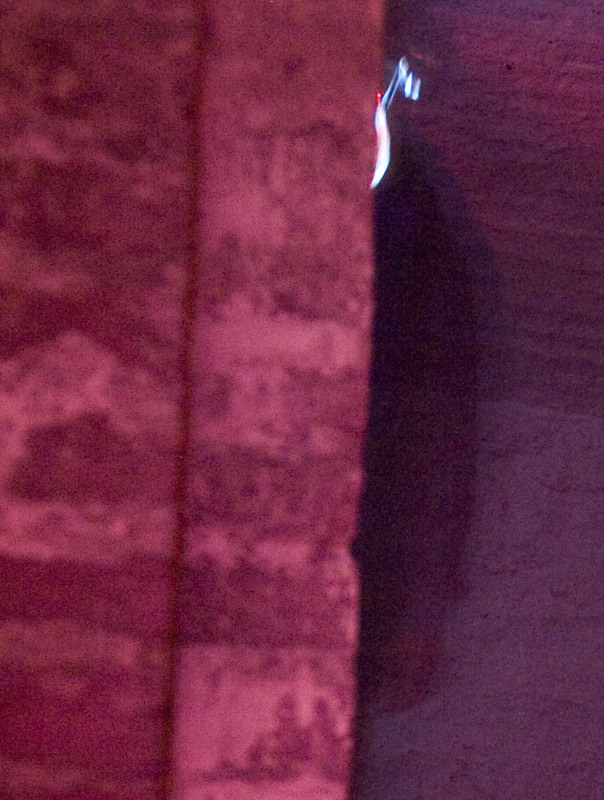 During these photos, no white light was used and all lights in the fort were turned off. During the night, SPIRT attempted to recreate this photo using a variety of exposure times, camera settings, light play and different investigators. All of our test photos, while helpful in our analysis of this photo, did not recreate the same “ghost-like” see-thru effect which is present in this photo or else they were too see-thru and looked more like a motion blur. None of them could recreate the solid appearance, yet still ghost-like quality of the original photo. Our biggest dilemma is that during this session, there were no investigators in the hallway and the fort is a locked setting. The hallway between the casemates is very narrow, with only one way in our out. To get into that position, a person would have had to already been past the doorway before investigators came into the area or walked past the open doorway while investigators were there. Neither of these were noted by investigators at the time. All investigators were accounted for in positions behind the camera and photographer. While it is possible that someone might have wandered into the shot, our investigators would have taken notice of such an intrusion at the time. 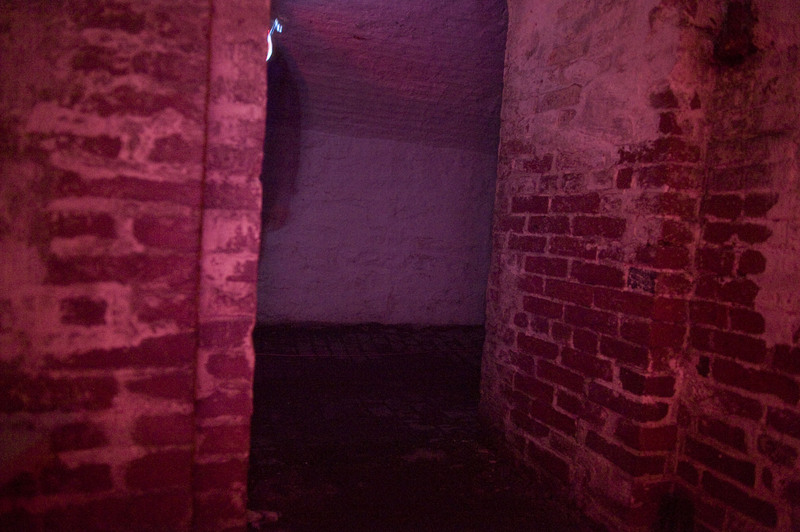 We will continue to study and test this photo for possibilities of a non-paranormal nature, but as of now, we at SPIRT of PA are confident in saying that this photo contains a true apparition caught in the hallway outside Casemate 4. Congratulations to investigator Scott for taking such a great picture!